Welcome back! Today, I have another project from AECP to share with you - I am finally getting close to finishing the first level, only 2 more projects to go before the final challenge, woohoo! Irresistible Inking Techniques led by Sara Naumann is a fun class full of great ideas on how you can stretch your supplies, especially ink pads. 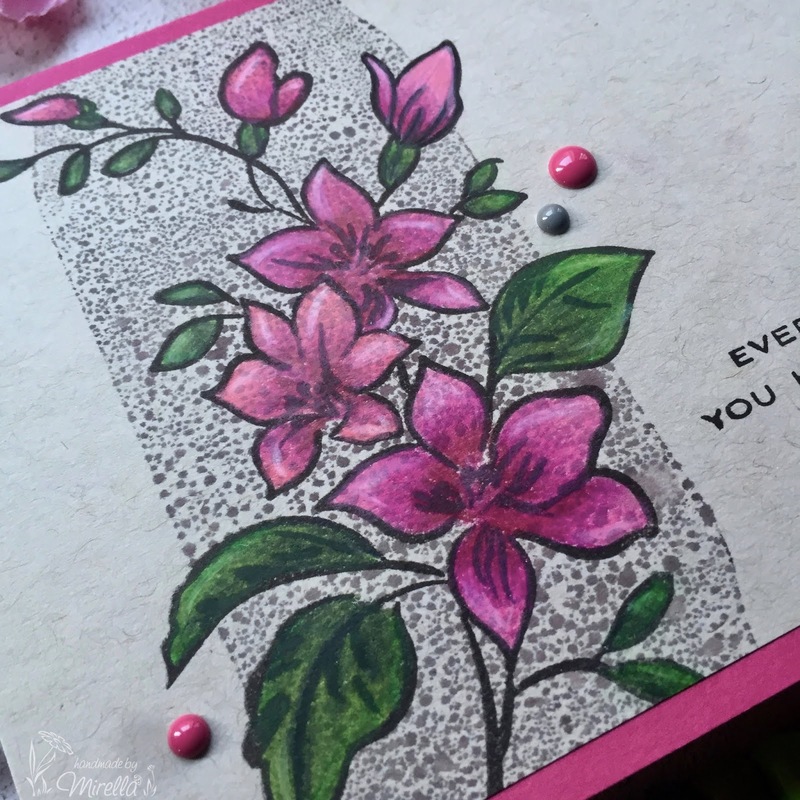 Do you have a lot of ink pads in your craft-room, and maybe you're not too sure what potential they have, other than straight forward stamping? Then this class is for you! 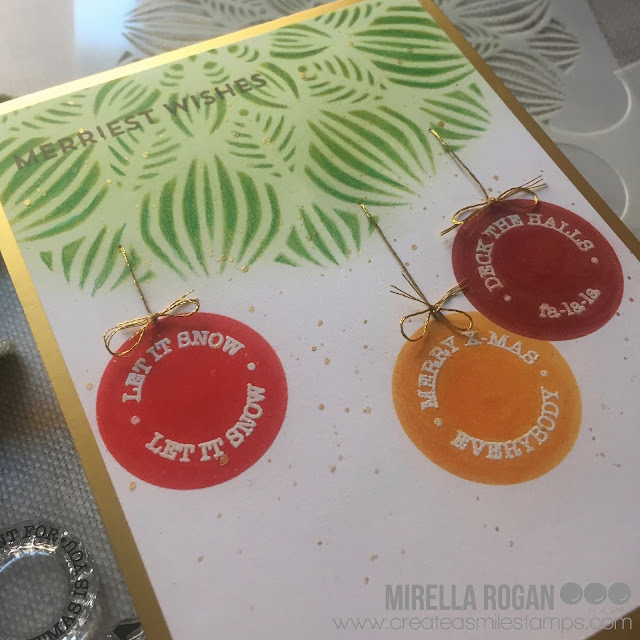 Of course, Sara only touches the tip of a mountain, really, as there are loads of things and techniques you can use your ink pads for, but this class is a great start, especially if you're new to crafting and card making. I was quite inspired to use a few of the techniques showcased by Sara on my project! 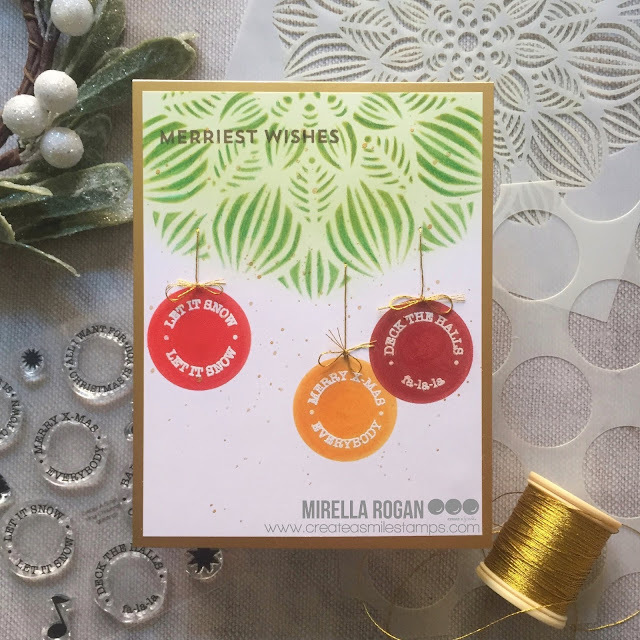 As you will see in a moment, however, I ended up only using one or two of her suggestions - that's simply where the card design took me! ... and I couldn't be happier that I did! I opted for colouring my image with Polychromos Pencils, and... just look at the close up photos! 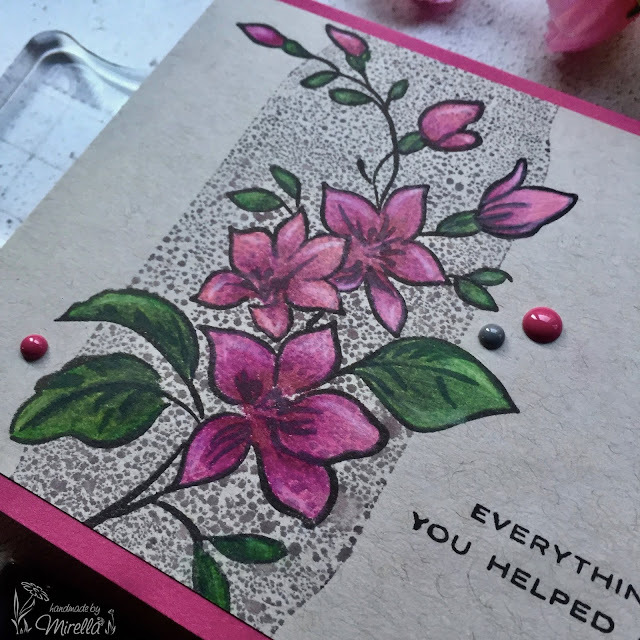 The ugly splotchy pattern added so much fabulous detail and texture to my florals! Once I finished colouring the whole image, I decided that it was perfect just the way it was, hence I opted not to add additional "inky" details to it - the gorgeous sentiment and a few enamel dots were in my eyes more than sufficient. I will most definitely use this technique in the future, and I hope to achieve both my initial desired effect (of a smoother background for my focal image), but I also hope that I'll remember every now and again to go for this "failed" splotchy look, as - oh my - I love this texture so much! 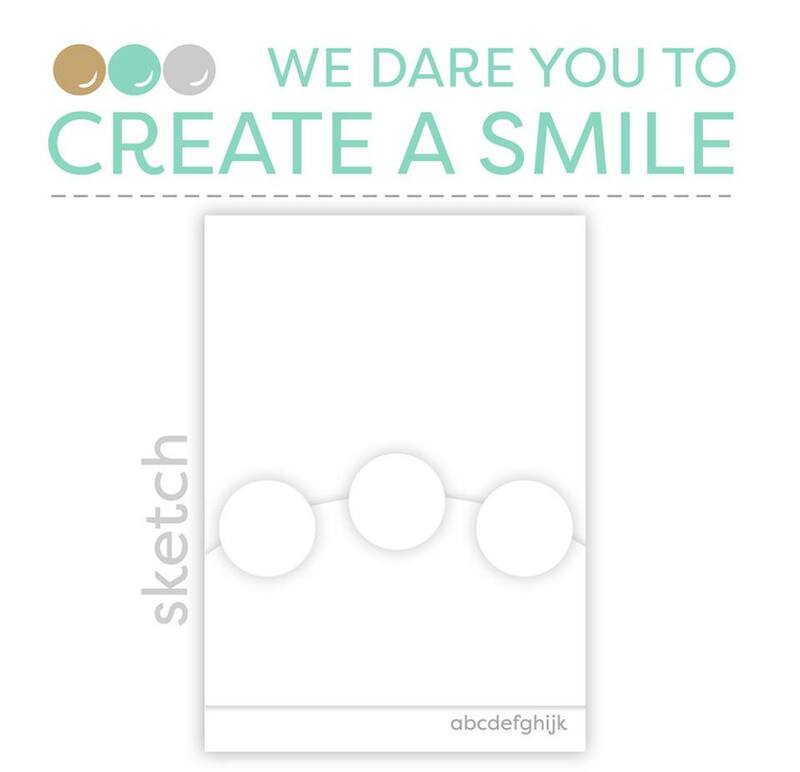 It's time for another challenge over at Create a Smile Stamps - how exciting! This time, we have a sketch that we would like you to follow. Personally, I find the sketch themes really and truly challenging - as they should be, of course, that's the whole fun part of it! I find myself struggling at times with coming up with a design that would follow the sketch, and at the same time be my own... And, truth be told, I quite often end up with an exact replica of the suggested layout or design. Every now and again, however, I really like to try thinking outside the box, and this is where the real fun starts! Let's have a look at the sketch from this week's challenge, shall we? Hope that you like it, and that you'll play along. Will you follow the sketch more precisely, or rather loosely? I can't wait to see! 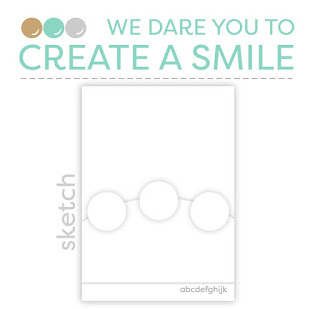 Time is truly flying, and it's time for another challenge over at Create a Smile Stamps! This time, we're focusing on friendship. A really lovely theme, and it opens a lot of possibilities in terms of interpretation which is always great, isn't it? 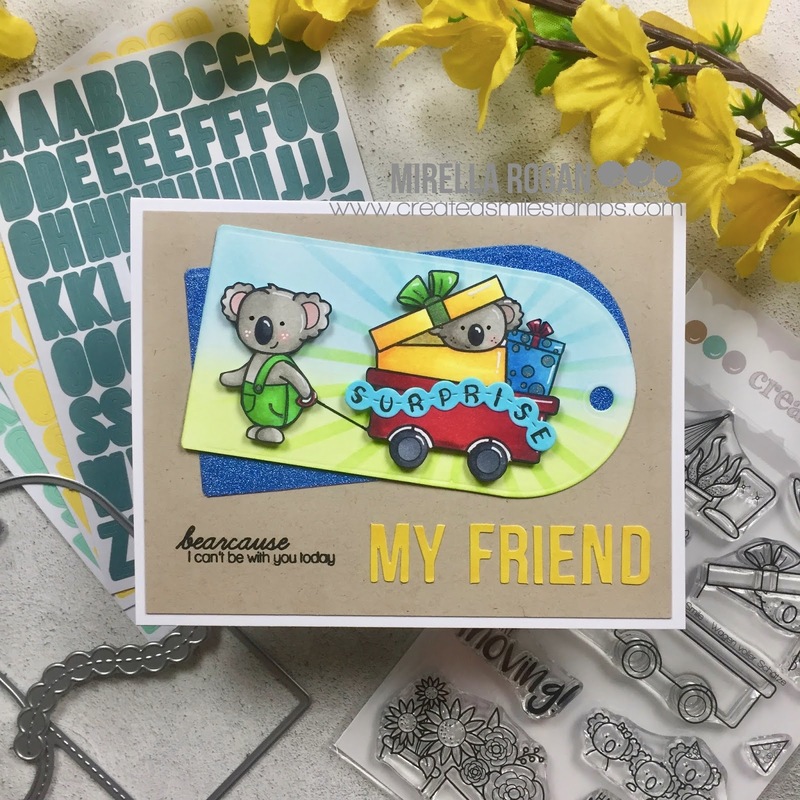 I decided to play with the Cart full of treasures stamp set - it's so adorable, and so versatile, too! I love it when one stamp set can be used for many occasions! I coloured my images with Copic markers and then fussy cut them. It took me a while before I decided on the final layout and design of the card, but I am really happy with how it turned out. To ground my images, I used a tag using the Pocket Tag die set. I cut one in white and blended some Distress Inks on top, to create a mini scene. And then, I cut another tag from blue glitter paper - for some additional interest. 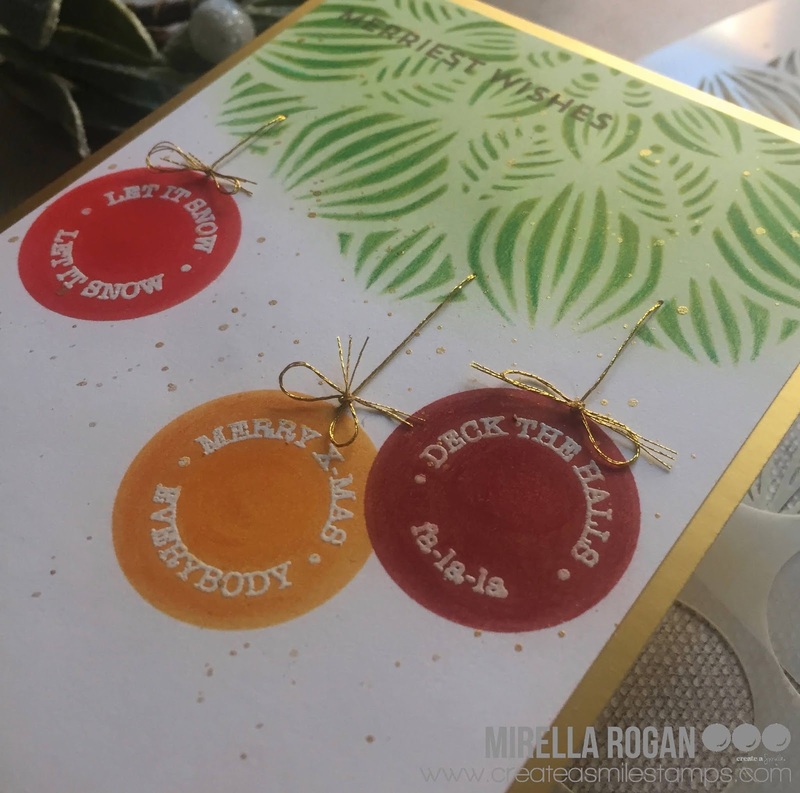 I used the same die set to create the little "Surprise" banner that goes along the cart --> I was pretty chuffed with this idea, and I think it is a nice little detail on my card. 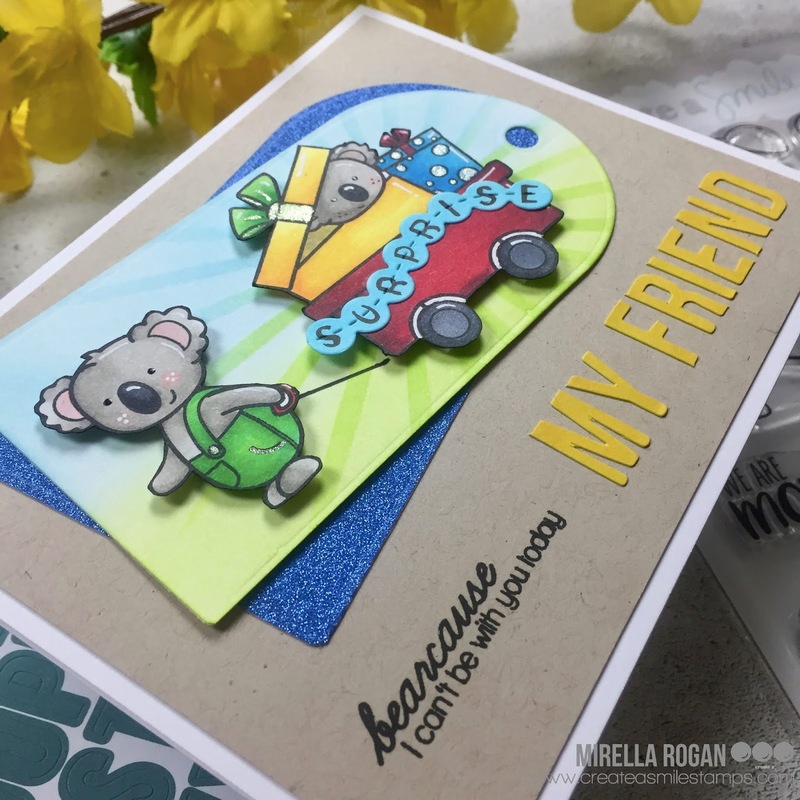 The sentiment is a combination of a stamped message from this set (yes, I know, technically koalas are not bears, but we do call them "koala bears", so I thought that for the purpose of the cute card, it was allowed! ), and I also used the cool Alphabet stickers by CAS - they come really handy, and their size is perfect for cards, so I reach for these quite often (especially when I want to personalise the card with the recipient's name). Finally, I added some sparkle here and there, and a few accents with my white gel pen. I hope you like my interpretation of the "Friendship" theme. Will you join the challenge, and try for your chance to win €25 to the Create a Smile store? I was looking for inspiration for a wedding card for a friend... and this is how it all started! 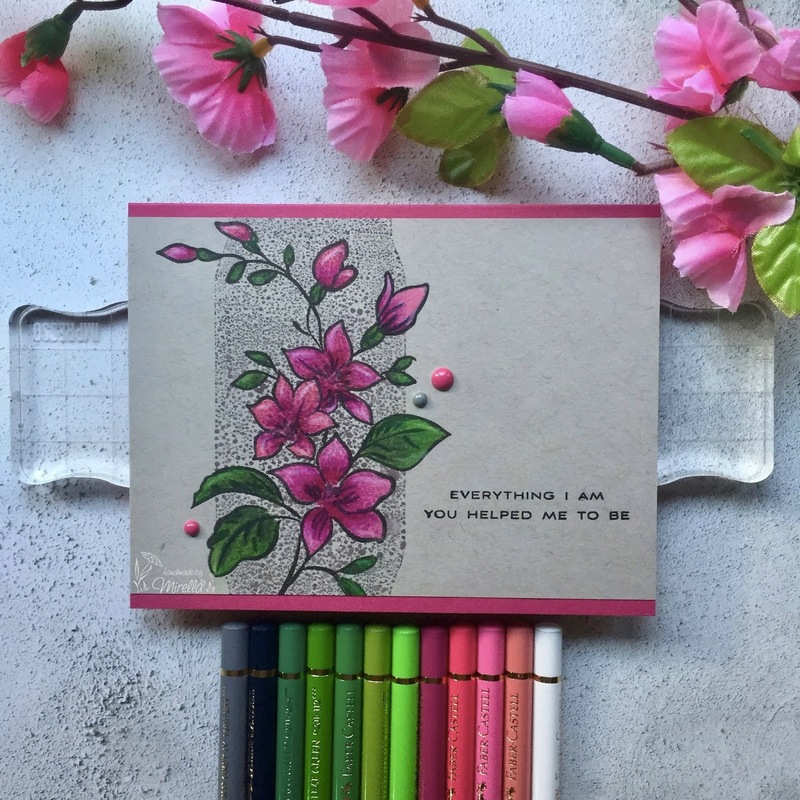 I have been making cards since late 2011 and haven't been able to stop since...! Copyright © Mirella Rogan. All rights reserved. Images shared are for inspiration only.. Simple theme. Theme images by jusant. Powered by Blogger.